Originally seven in number, Panch Badri are reckoned to be the Hindu sacred shrines dedicated to Lord Vishnu. These temples, namely, Vishal Badri (Badrinath), Yogdhan Badri, Bhavishya Badri, Vridha Badri and Adi Badri are in fact considered the abode of Lord Vishnu and are situated in the area starting from Satopanth about 24 kilometres above Badrinath extending to Nandprayag in the south. This entire area is known as the Badri-Kshetra and is an important pilgrimage destination for both Lord Vishnu devotees as well as other people of Hindu faith. One of the most important Hindu pilgrimage site in India, Badrinath is situated in Chamoli District in the town named after the temple. At an elevation of 3,133 m and nestled between the Nar and Narayana Mountain Ranges, this abode of Lord Vishnu is also one of the 108 Divya Desams (temples of Vishnu). The temples is believed to have been built in the 8th century by Adi Shankaracharya and have been renovated from time to time by different kings and dynasties like that of Scindia and Holkar. The legend has it that Lord Vishnu in his incarnation as Nar and Narayana, undertook penance in an open area at Badrinath. It is also believed that his consort Goddess Lakshmi created a shelter for him in the form of a tree (Badri Tree) to protect him from adverse weather conditions. The legend also has it that the sage Narada also took up an act of penance here and recited the divine chants called Ashta Akshara Mantra (Om Namo Narayanaye). According to the Hindu religious scripture of Bhagvata Purana, Lord Vishna has been undertaking the great penance since time immemorial for the welfare of all living beings. Yogdhyan Badri is situated in the Pandukeshwar Village, which is at a short distance away from Hanuman Chatti and Govind Ghat. Here the deity of Lord Vishnu presides in a meditation pose, and hence this place got its name as Yogdhyan. Pandukeshwar is situated at 1,920 m and is named after the father of the Pandvas called Pandu. 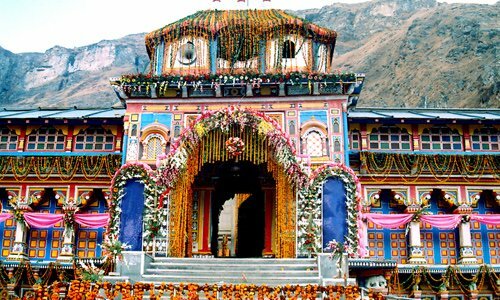 Yogdhyan Badri is also considered the winter abode for the Utsava-Murti (festival-image) of Badrinath, when the main temple of Badrinath is closed. It is also said that a pilgrimage tour is incomplete without offering prayers at this place. The legend has it that in Pandukeshwar, King Pandu took up penance and asked Lord Vishnu to cleanse him of the sin of killing the two mating deer, who were ascetics in their previous lives. It is also said that King Pandu installed the bronze statue of Lord Vishnu here and it is where the Pandavas were born and King Pandu died. Also, it is believed that the Pandavas, after defeating Kauravas in the Mahabharata war, came here to repent. 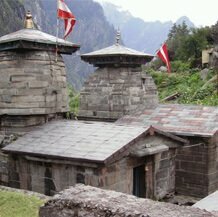 This sacred Vishnu shrine is situated 17 kms away from Joshimath in a village called Subhain which is beyond Tapovan. As the name suggests, the place is predicted to be the future Badrinath (the prime Vishnu pilgrimage), when the evil will cast itself in the world and mountains of Nara and Narayana shall be blocked and Badrinath would become inaccessible. The image of Narasimha (one of the incarnations of Lord Vishnu) prides in Bhavishya Badri. It is worth noting that the temple can also be reached on foot as there are no motorable roads. A trail through dense forest takes one to Bhavishya Badri. Some also believe that it is the same ancient trail that also led one to Mount Kailash and Manasarovar, along the Dhauli Ganga River. 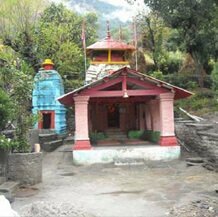 This holy Vishnu temple and one of Panch Badris is situated in Animath Village, which is situated at distance of only 7 kms from Joshimath. Vridha Badri is said to be the place where Lord Vishnu appeared in the form of an old man before sage Narada who undertook penance here. Therefore the idol presiding the temple is also in the form of an old man. It is also believed that before Badrinath was designated as one of the Chardhams, Vridha Badri was the place where the idol created by Vishkarma was enshrined and worshipped. This is also the only temple amongst the Panch Badri that remains open all through the year for performing pilgrimage. 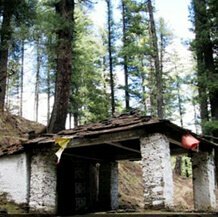 The first temple amongst the Panch Badri, Adi Badri is situated 17 kms away from Karnaprayag near Chulakot. It is said to be the temple where the Vishnu devotees offered prayers when Badrinath became inaccessible during the winter season. 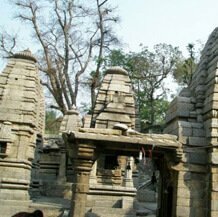 Adi Badri is a temple complex which also believed to have been established by famed Adi Shankaracharya. Seven temples of this complex were built by the Gupta Rulers between 5th and 8th Century AD. The main temple of the complex is dedicated to Lord Vishnu that is built on a raised platform with a small enclosure of a pyramidal shape. The temple has a black stone image of Vishnu, which depicts him holding a mace, lotus and chakra. 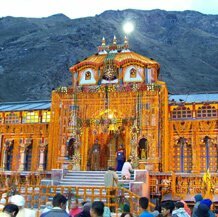 According to Hindu scriptures, this temple shall be named as Yogi Badri when the Bhavishya Badri will have the same stature as that of Badrinath in future.